I can’t believe how quickly time is flying by. Back in June, I wrote to you and promised to update you on our first month with a fully functioning health centre. Here, it is November already! Where does the time go? Please forgive me. I’d like to give you a brief summary of what’s been going on the past several months, and then I will write a couple of other more detailed updates about specific ministries we’re engaged in right now. First, on July 1, we opened the health centre with our newly hired staff. Our team includes physicians, nurses, a pharmacist, a lab technician, administrative/accounting staff, as well as security and housekeeping personnel. The medical work we do is primary care, and exclusively on an outpatient basis. However, the health centre also ends up treating emergent cases when people come to us. There is no such thing as an “appointment” here—people are seen on a “first come, first served” basis, unless of course there’s a case that needs to take priority. The most frequent complaints are respiratory—coughs, colds, flu, etc., and then malaria, gastrointestinal complaints like diarrhea and worms, and skin problems ranging from fungal infections to allergic reactions. Urinary tract infections are also common. We do a fair amount of wound care, especially foot and leg wounds that people from the surrounding villages don’t get treated as quickly as they should. We’re working toward improving our diagnostic capabilities; there’s an x-ray department, ultrasound equipment, and an EKG machine in the health centre but so far, just the EKG machine is being used. One of the things I am learning to appreciate is just how much work goes into maintaining equipment and supplies in order to use technology in medicine. We also need to provide continuing education and training to our current staff so they can utilize the donated equipment we have. Right now we’re seeing about 15-20 patients per day, five days a week. One of the challenges we face is that the health centre was built in a rural location, up on a hill about a 15-minute drive away from the center of town. There’s no public transportation available, so patients have to hire a motorcycle or a taxi to reach us, and the cost of private transportation is prohibitive. What we find is that many of our patients come from the surrounding local village, or are patients who have sought care elsewhere first and are willing to spend the money to reach us and seek additional help. It’s rewarding to be able to help those people, even though our patient volume isn’t high. We are optimistic that, as our diagnostic capabilities improve and word gets out that we are providing good care, more patients will seek us out. In addition to my work with the health centre, the last several months have been really busy with short-term volunteer teams from the US and Greece. OCMC sent a teaching team in July and a healthcare team in October. A medical team from a parish in the United States was here in September and, as I write this update, we have a medical team here from Greece. In early December we will receive another teaching team from OCMC. The local Church relies heavily on missionaries to help prepare for and care for short-term teams. Hosting a team involves everything from organizing schedules and purchasing supplies, to handling and accounting of all of the finances for a team. That doesn’t sound too demanding when you’re in the US, but in Tanzania, going shopping doesn’t mean going to a grocery store. It takes me four hours to shop for five days’ worth of food for 8 people. Our teams have ranged in size from 6 people to 17 people at a time. While it is a lot of work, I have also been very grateful for the eagerness of these team members to come here and support the Church, and to share their gifts and talents and knowledge with their brothers and sisters. Personally, I also really benefit from having visitors here. Probably the most difficult thing for me in the past year-and-half has been the lack of social support here—so, I really treasure the time I get to chat with people from home and to speak my own language. It’s also wonderful to be able to pray and worship with people in English, and I’ve been grateful for the presence of American Orthodox priests who have participated in the teams. They are a huge comfort to missionaries in the field! Another thing I have been working toward is getting my Tanzanian nursing license. When I arrived in Tanzania, I couldn’t apply for a license right away because the health centre wasn’t registered yet, and as a foreign nurse I have to be associated with a specific medical facility in order to practice. Then, once we received registration for the health centre in March, I realized that it would be risky to apply for a license in Tanzania before my license from the US was renewed. My concern was that I would pay the $250 fee to get a Tanzanian license and that the Ministry of Health would issue a Tanzanian license that would only be valid until my US license expired—which would have been in June. So, I decided to wait until I got that straightened out. Renewing my license in the US was complicated this year, since the process requires the submission of fingerprints for a background check. I ended up being able to get official fingerprinting done while visiting Germany and sent the paperwork home to the US via my folks. Once I got my US license renewed, I submitted my paperwork here in Tanzania. A very good friend who is a nurse in the US graciously offered to help me get the verification of my license from the nursing board in DC, and a former nursing professor from Penn State helped me secure verification of my educational training. One unexpected delay has been that the paperwork from the US has to be mailed to Tanzania, and can’t be sent by email. Mail from the US generally takes about three weeks to get here, so I am eager to call the Tanzanian Nursing Board this week to check on my status. Once I have a Tanzanian license, I will be ready to start working directly with patients in the health centre, and I have even been invited to do some volunteer work at the local government hospital in their maternity ward. I’m extremely excited about that, and have really missed taking care of patients. Finally, as odd as it sounds, I now have just four-and-a-half months left in my term of service here. I’ve been doing a lot of soulsearching about what is next for me, and have been praying for guidance and discernment. In the next several weeks, I will be making decisions about whether I will return to the US to continue my education or will consider extending my service here in Tanzania for another year or two. It’s not an easy decision, and I would really appreciate your prayers as I consider the next steps in my life. For many missionaries it takes about 18 months to start to settle into their role in a foreign country, and I believe that has happened for me. I am not an expert in Kiswahili or in Tanzanian culture, but I am no longer a tourist. I have bonded with people and am invested in the work going on here, so contemplating going back to the US is really difficult. On the other hand, I feel a definite calling to become a nurse-midwife, and possibly a family nurse-practitioner. It has become clear to me that what people really need here, especially in rural areas, is a primary care practitioner who can care for people throughout their lifespan. As a labor and delivery nurse, my skill set is extremely specialized and I can see that I need to broaden my knowledge base in order to effectively care for the people who ask for my help. Right now I am looking into different options for continuing my education, and I will be talking with the missionary department at OCMC to see what options I have so that I can continue to work as a missionary but also get the education I feel I need. Please keep me in your prayers, and I will be updating you in the coming months about my plans for the future. 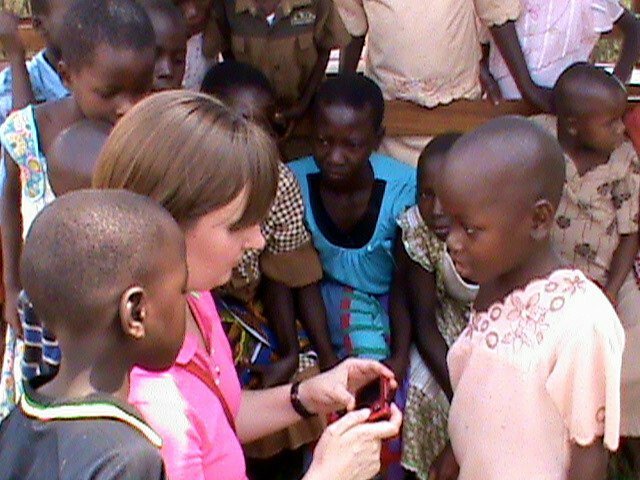 Thank you so much for your interest in the mission work here in Tanzania. So many of you have contacted me privately to ask how things are going, and I am really sorry that it has taken me so long to update you as a group. At various times as a missionary, we become overwhelmed; it’s not just that things are busy, but that it can be daunting to try to communicate what life is like. I appreciate your patience with me and I want you to know that I really do want to keep you informed. As I said, now that I’ve given you a summary of the past few months I will write again about some of the specific teams we’ve hosted. Until then, thank you as always for your prayers and support. I couldn’t do this work without you, and I am so grateful that God has provided me with such a faithful and enthusiastic group of people to join in this ministry with me! God bless you!